With the seasons quickly changing and AW18 upon us, it’s time to start thinking about updating your clothing collection. After all, the styles you were stocking in summer aren’t really weather appropriate anymore! It’s time to say hello to brand new designs that are perfect for autumnal and wintry seasons, especially with Christmas looming around the corner too. So, if you’re hoping for some inspiration in adding to your new season collection, look no further. At Parisian, we have the latest AW18 styles for you to get your hands on. Animal prints became hugely popular last season and they’re sticking around into the winter, for good reason! Leopard print has become a retro style that comes back time and time again, reinventing itself in new ways. This season, you’ll see leopard print in almost everything from dresses, blouses, co-ords and accessories. For winter, take a look at our leopard waist tie shirt dress, or even our leopard plunge neck wide leg jumpsuit. It’s become somewhat of a new neutral, with the ability to pair leopard print with almost anything. Likewise, snake print has made a bold appearance, mostly in monochrome shades for a unique take on seasonal patterns. It’s a great alternative to leopard print, and you’ll find it mostly in dresses and shirts. 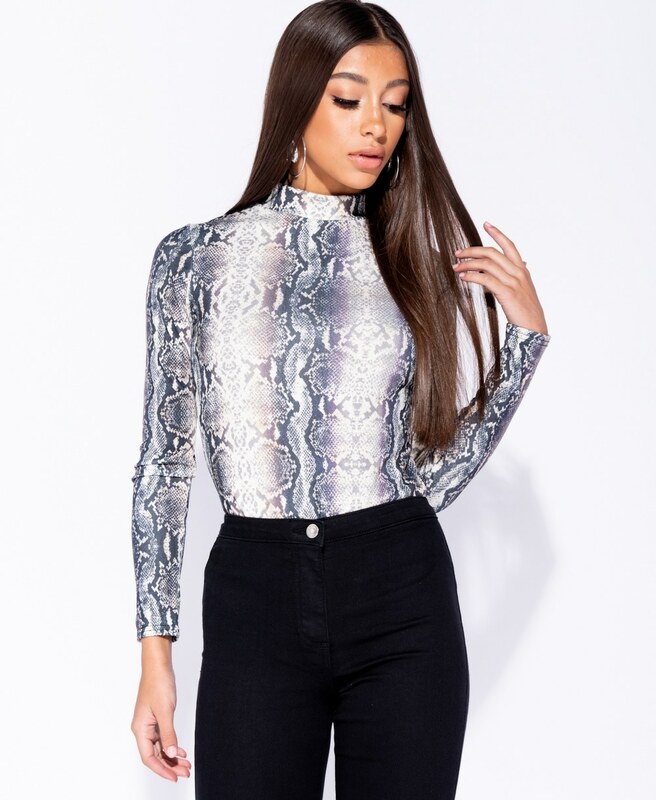 Our high neck bodycon mini dress in snake print is the perfect winter dress, while the high neck bodysuit is great for teaming with black denim and strappy heels. The leather look has been popular for decades, creating a sense of glamour every time without fail. It’s a style that is favoured more in the winter than the summer, so if your collection is crying out for some PU wet look styles, now’s the time to invest. Look out for coated jeans, like our coated 3 zip skinny jeans. A staple for your AW18 collection, update your jeans with a unique leather look. Nothing says winter like a faux fur jacket. They’re the perfect way to stay warm while looking glamorous, and this season they’re available in a rainbow of pastel and bright shades to choose from. Make sure your outerwear is on trend this winter with an array of faux fur coats, jackets and gilets. Our mid length faux fur coat is a great way to stay stylish no matter what the occasion is. Look for seasonal colours like burgundy or grey, or go bold with bright blue, pink or purple. For a subtler take on the trend, look out for denim and leather jackets with faux fur collars or trim. Our PU biker jacket with faux fur collar is a great example of this, allowing you to stay stylish while choosing existing popular styles. Last, but definitely not least, now is the best time to refresh your party collection and include key styles that people will want for Christmas and New Year. After all, party season isn’t that far away and many people will start shopping early for their best outfits. Look out for sequins for the ultimate partywear, adding that extra sparkle to your collection this season. Our multi sequin asymmetric bodycon dress is eye-catching for all the right reasons, with jewelled tones of blue and purple. We have a huge collection of sequin dresses for you to choose from. When it comes to fabrics for your partywear collection, velvet is a great choice in the winter season. It’s a fabric that splits opinion down the middle, but when it comes to a night on the town in the middle of December, velvet is your best friend! Our velvet glitter long sleeve bodycon dress is the answer to any social event this season. So, if you’re looking to keep your collection updated this season, look no further than these key styles.